The province of Gipuzkoa, in Spanish Basque Country, has managed to almost double their recycling rates in 4 years. In 2011 they struggled to meet EU targets and now they are above the 2020’s goals and intend to keep improving. 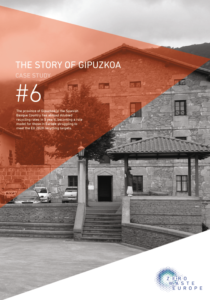 Gipuzkoa still has a long way till Zero Waste, but is already proving that laggards can move very quickly. Do you want to know how? Available in: Catalan, English & Polish. Other languages coming soon!